Custody of the children is often the greatest concern during a divorce. In the past, it was often believed that custody would automatically go to the mother. Women give birth to children, breast-feed them, and presumably provide the majority of the nurturing in the home. However, we live in a modern world. The modern day family typically consists of two working parents, and children may spend more time in day care or the school setting then they do in the home. This has enabled more fathers to become as important a caregiver as the mother is. Therefore, more courts are granting primary custody to fathers. The state of Florida refers to custody as Conservatorship. Some parents choose to debate over who should be the Sole Managing Conservator (or the primary parent) and who should be the Possessor Conservator (the secondary parent). However, it has been shown that fighting over Sole and Possessor Conservatorship may be harmful to the children in the long run. Often, one parent is seeking to become the Sole Conservator so that they may have full control over the other parent’s contact with the children. This is not only unfair; it is also illegal. Courts generally favor an agreement that is written out by both parents that involves Joint Managing Conservatorship. In a Joint Managing Conservatorship, both parents agree to work together regarding all issues that pertain to the children. This doesn’t necessarily mean that the children will reside with both parents equally, but it does mean that they will work equally for the benefit of the children. If the court needs to choose Conservatorship for the children, they will more than likely choose Joint Managing Conservatorship unless one of the parents have been deemed unfit. It is also a good idea for parents to take parenting classes together. This may even be beneficial after the divorce is final. By remaining civilized the children of divorced parents have the best chance at a successful life. Children need to feel loved by both parents, and if the parents are having difficulty working together, then they need to seek outside intervention, for the sake of the children. For Joint Managing Conservatorship to be effective and successful, both parents must be willing to work together and respect each other. They cannot belittle each other to the children or all of their efforts will fail. Sometimes, beyond all best efforts, situations change and the need for modification to the divorce order may arise. If a new spouse enters the picture, the possibility that the children may not respond positively should be considered. If children begin to exhibit signs of physical or emotional abuse, the courts may determine that it would be in the best interest for the children to reside with the other parent. 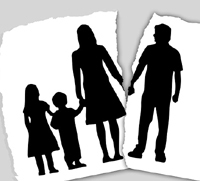 If you feel that the other parent is working against you and is not upholding to their end of the divorce agreement, then you should contact an attorney at once. Present your situation to the attorney and see what they recommend. Going back to court may be the best solution.